Fade resistant. 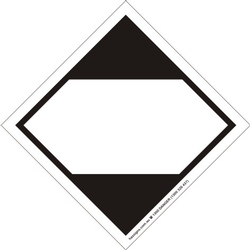 This labels used for identifying limited quantities of dangerous goods shipped via Road/Rail/Air. Used by all major shipping & transport companies. This new limited quantity marking for cargo transport units has been adopted by the IMDG Code and the IATA DGR Code and will be required from April 1st, 2011. Lowest Price Or it's FREE!! !